This course includes 1000 pictures and videos that greatly facilitate learning. We will start on a basic level and will reach a medium level at the end of the course, and by then we will be able to approach any clinical case with confidence and knowledge. 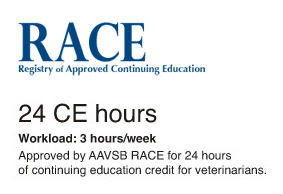 This program 706-25202 is approved by the AAVSB RACE to offer a total of 24.00 CE Credits (24.00 max) being available to any one veterinarian. Sing the delivery method(s) of: Interactive-Distance. At the end of this course we will be able to deal with any case and know how to work it up adequately to reach a proper diagnosis and treatment. This information, and the graphic and practical way it is presented, is not found in any book and it is what makes this course unique in order to start and advance in avian medicine. In 10 lessons we will have learnt to take a clinical history and to perform a physical examination, to take and analyze all kind of samples, to anesthetize a bird, to interpret radiographs and to recognize and work up clinical signs. In addition, we will have talked about anatomy, physiology and taxonomy, even considering there are no specific lessons for these topics. Week 2. Nutrition. Nutritional diseases. 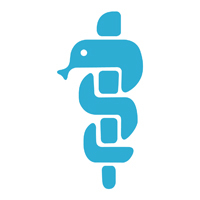 Pediatric medicine. Week 3. Anesthesia. Analgesia. Selected surgical procedures. Week 5. Necropsy technique. Identifying and describing postmortem lesions. Sample collection. Egg necropsy. Week 6. Clinical pathology: hematology, biochemistries and cytology. Parasitology. Other tests: PCR, serology, protein electrophoresis. Week 7. Approach to clinical signs and diseases I. Week 9. Emergencies. Non-infectious diseases. Week 11. Clinical cases (I). Week 12. Clinical cases (II).